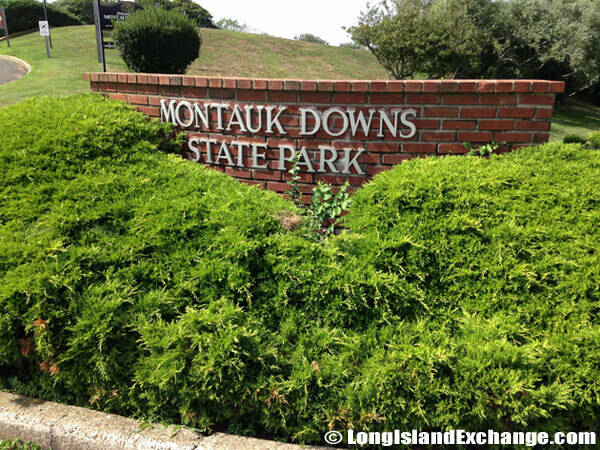 Montauk Downs State Park is located in Montauk, New York within Suffolk County, near the eastern tip of the South Fork of Long Island New York. It is 128 miles from Manhattan, via Sunrise Highway (Route 27) east to the Park. Contact Information: Montauk Downs State Park, 50 South Fairview Avenue, Montauk, New York 11954. Phone: (631) 668-5000 Restaurant (360 East at Montauk Downs: (631) 483-5025. Overview: Montauk Downs State Park is well-known for its Robert Trent Jones-designed, championship-length, 18-hole golf course. The park also offers a driving range, six championship tennis courts, a main swimming pool and a wading pool for children, as well as a beautiful catering facility, a clubhouse and a grill room serving breakfast and lunch. The 18-hole golf course is rated as one of the top 50 public golf courses in the country. It is also considered to be one of the more affordable top courses. This par 72 course has a yardage of 6,762 whereas the Ladies yardage is 5683. The minimum age requirement for playing here is twelve years if accompanied by a guardian and rules allow16 year olds to play unaccompanied. The golf outing is for 144 people. The front entrance at Montauk Downs State Park, one of America’s top 50 public golf courses. History: The 160-acre park was first developed in 1927. Robert Trent Jones Jr. redesigned the present course in 1968. Rees Jones, Robert Trent Jones’ son, has recently helped to redesign some of the holes to help make the course ready for perhaps some minor tournament play. 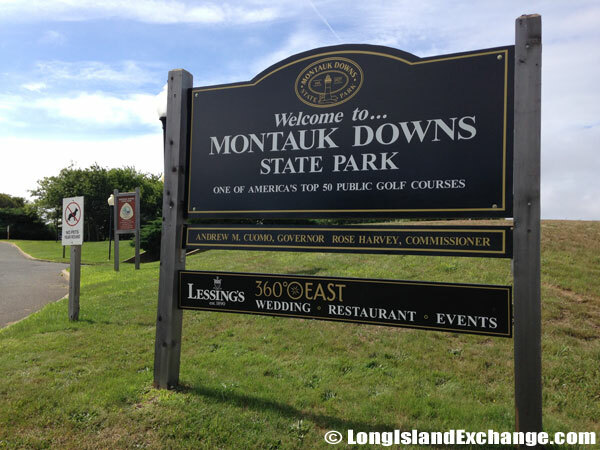 Every year Montauk Downs holds a gala event at the end of the summer to help raise money for the renovations. The State Parks bought the facility in 1980. Facilities: Outdoor pool (ramp; season pass available), kiddy pool, tennis courts (6 Har-Tru courts), pro shop, grill room, 18-hole golf course, and driving range. Events: Montauk Invitational Golf Tournament; Montauk Fall Classic Golf Tournament; Montauk Gala (dates not set). Seasons/Hours: Park is open year round, seven days a week. The golf season runs year round — weather permitting — tennis mid-May to mid-September, the pool from late June to early September. Temperature: The Montauk Downs area experiences average January temperatures above 22 degrees Fahrenheit (above -6 degrees Celsius). Summer temperatures average above 72 degrees Fahrenheit (above 22 degrees Celsius). Precipitation in the region ranges from 40 to more than 44 inches of rain and snow-melt. Typically Long Island has more than 200 days of frost-free growing season.